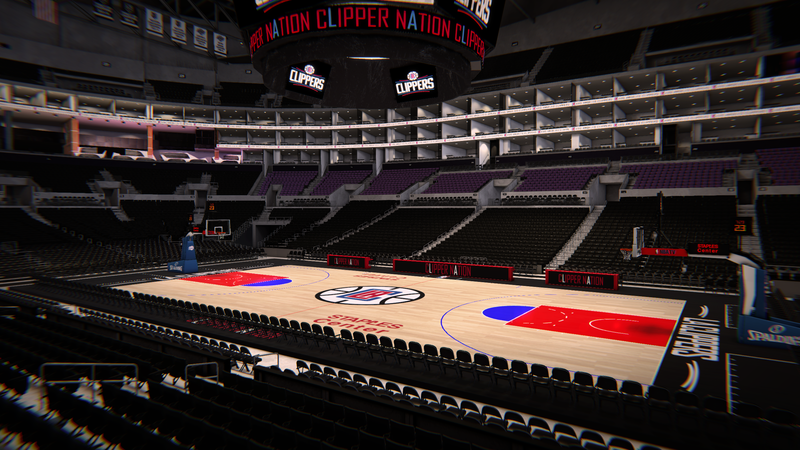 LOS ANGELES, October 9, 2017 – L.A. Clippers fans purchasing single game tickets for the team’s upcoming 2017-18 schedule at STAPLES Center can now see the actual view from the seat they are considering with FanSight, an interactive 360-degree 3D view-from-seat experience fully integrated into the seat buying process created and powered by AXS. This newly developed interactive seating selection, operated by AXS creates the industry’s only 3D, customized viewing experience where consumers can observe the representative view from their exact chosen seat before completing their transaction. The Clippers are the first NBA team to introduce this technology, and it is now available for the purchase of single game tickets for the upcoming 2017-18 season. FanSight is a significant ticketing enhancement for fans as it provides an industry exclusive 3D digital visualization of the venue from a bird’s-eye view, as well as from the view from each individual seat. Unlike other enhanced seating maps, FanSight is a mobile-first product and provides a fully immersive 360-degree experience, including everything from scoreboards to player benches and beyond. “Today’s fan expects more when they purchase tickets, and don’t want to sacrifice anything when using their mobile phones. With FanSight, we are delivering an industry-first experience, giving customers the most realistic view of what to expect at the event from the seats they are considering and the ability to make an educated and fun purchase.” said AXS CEO, Bryan Perez. When selecting a ticket, fans can zoom directly into their selected seat using the ‘View From Seat’ map embedded within the purchase flow. Enlarging this window gives the purchaser the ability to look in all directions during full screen mode. Everything from the placement of scoreboards and screens, to the section behind and floor below can be examined using the 360° capabilities. AXS will be rolling out its FanSight purchasing technology throughout its portfolio through early 2018.